My husband loves to cook. I always said he missed his calling in life, he should have been a chef. He loves kitchen gadgets and always buying new ones that come out. I am very lucky that he does all of the cooking because, to be honest, I am NOT a good cook. I always say I wish there was a simple way for me to cook with food coming out actually edible. Well, luckily for me I have found a way! Let me introduce you to the best cooking tool you could have in your home….Chefsteps Joule. Joule is a rugged kitchen tool that’s made for everyday use. Its strong, durable body is made of extruded polycarbonate, and the top and foot are 316L stainless steel. There is no display to break, which also means Joule is half the weight and size of other sous vide tools, so you can carry it in your knife bag or store it in your top drawer. Joule preheats water way faster than other sous vide devices, and the LED is all the display you’ll need for information at a glance. Heat a pot of water. Or a Cambro. Or the kitchen sink. Capable of heating 20 liters of water or more and equipped with a universal clip along with a magnetic base, Joule works where you want it to work. With Bluetooth LE and WiFi control, you can cook from anywhere. When’s the last time you started cooking from work? Or the bus? Never, that’s when! Sous Vide is a French term that describes cooking food in a sealed bag, immersed in water that is kept in the exact temperature that you set. That means steak is never over cooked, chicken is always tender and briskets are fall apart tender. 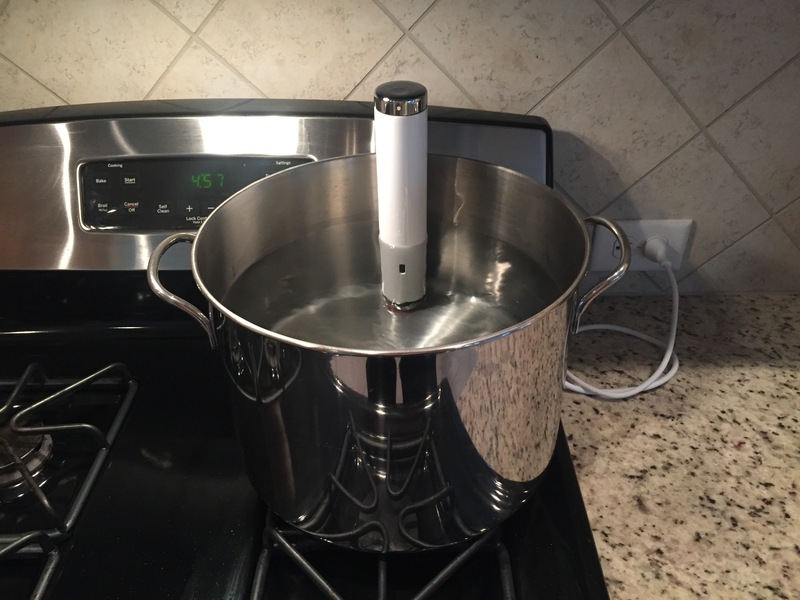 When I first heard about Sous Vide cooking, I kinda looked at my husband like he was crazy. Cooking meat in a bag? Say what?! No thanks.. not for me. If I only knew then how much of a staple this would be in my kitchen. This little cooking tool is AMAZING. It will honestly change the way you cook forever. Using the Joule is really easy peasy. As long as you have a smart phone, you are good to go. Just download the Joule app (free!!) for Android or IOS and connects via bluetooth. This app gives you easy step by step instructions on how to use the Joule to cook the best meal. You pick the recipe and it will tell you exactly what to do. I love that because I am the type of person who needs detailed step by step instructions on how to cook a meal. All the controls happen on the app, other than the On-Off button on Joule. The first meal I cooked was New York Strip Steaks. We are BIG steak eaters in our house and my husband hates when his steaks are overcooked. 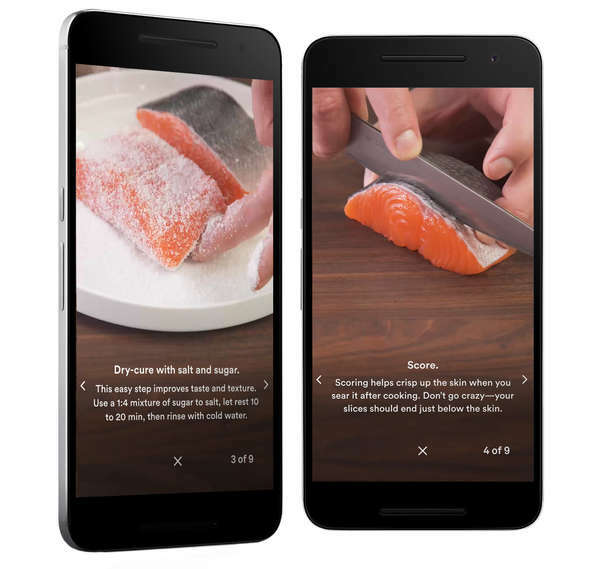 So, the first thing you do is pick a recipe from the app. Then plug in and set the Joule in your water (The unit is waterproof – the entire thing can be submerged). This can be a pot, a bucket…anything you wish that the Joule will fit in. Since the Joule is small in size you do not need a giant pot to cook in. How cool is that?! Then we seasoned each steak and pre-seared them per recipe. 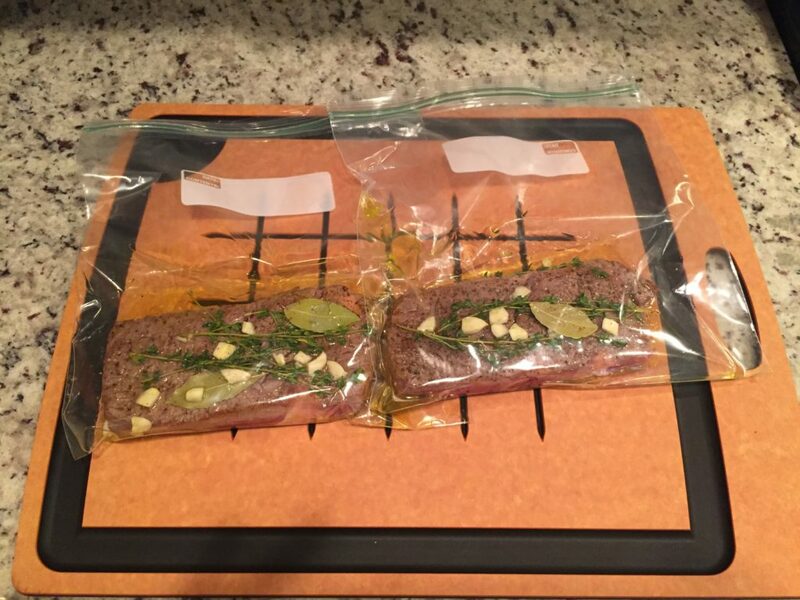 Put each steak in a separate zip lock style bag (another awesome thing is this does not require bags to be purchased from Chefsteps, you can put your meat in any type of ziplock bag you please). From there, we attach the bags to the sides of the pot with clips (we use chip style clips, thank you oxo) and you just press start on the app and then that is it! You just sit back and relax and wait for your meal to be done! So simple! When it was done we gave it a quick sear over the grill (you can also use a pan) and the steak was ready to eat. 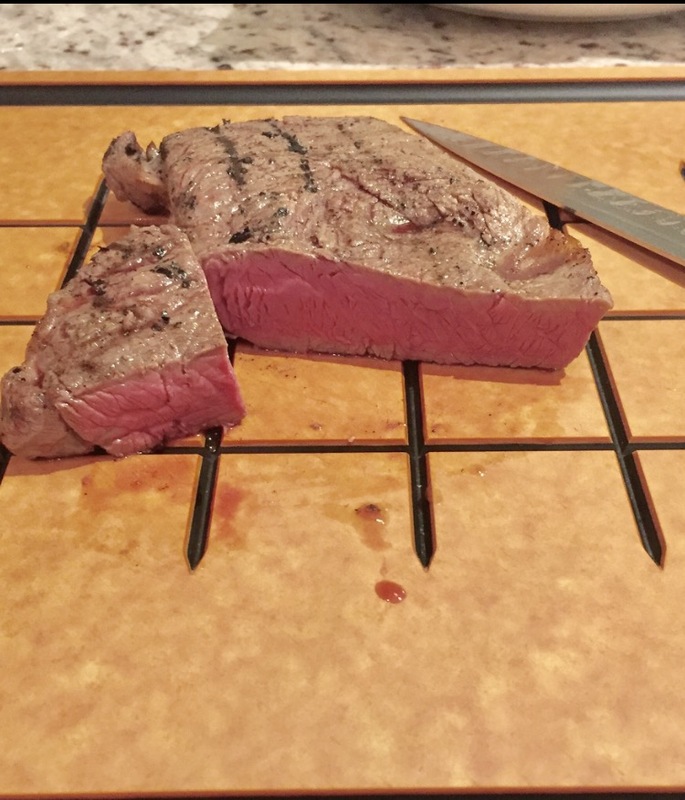 You will be able to enjoy the most perfectly cooked steak you have every had. Is the Joule powerful?! Yes it is! Joule features 1100 watts of power. This is the most powerful Sous Vide on the market for home use. Usually when we cook steak or go out to a restaurant, we ask for medium or medium rare. With traditional grilling, we usually end up with overcooked meat. The Joule will never overcook. You will get edge to edge perfection. Our steak came out perfect as you can see from the photo. It was very tender and super juicy. My husband brought the Joule to work and cooked chicken, he said it came out super moist and flavorful. Meat isn’t the only thing you can cook in the Joule. You can cook vegetables, eggs and desserts!! The possibilities are endless with all of the delicious recipes on the app. 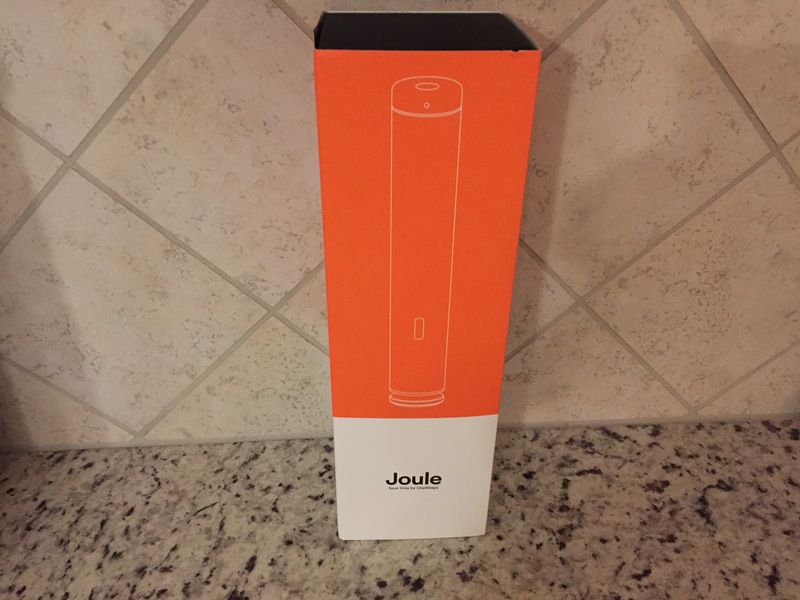 The Joule makes cooking so easy, and the app is super helpful with the detailed instructions and pictures. We are so happy with the ChefSteps Joule. It has changed the way we cook forever. We are very excited to try Prime Rib with the Joule for our Christmas Dinner! 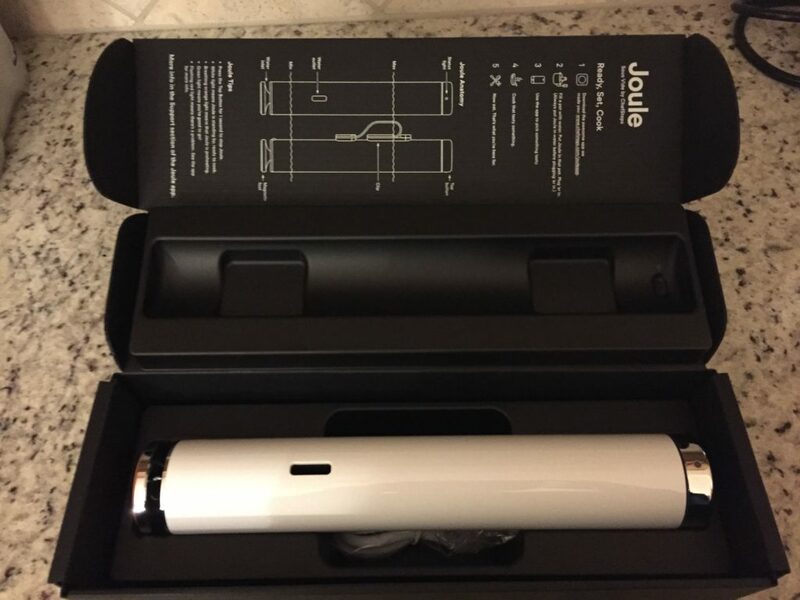 ChefSteps is selling Joule for $199. This would make an awesome gift for someone who LOVES to cook (or wants an easier way of cooking, like myself)! 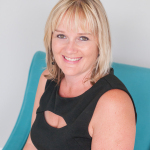 *I received a Joule in exchange for this review. All thoughts are my own. Well that’s pretty great! I love being able to cook food perfectly, and this sounds like a great tool to do it! This is so neat. I hate over-cooked steak too, so this sounds perfect! I haven’t seen a tool like this for the kitchen before. Chef steps Joule Sous Vide is amazing! I am very picky about the way my steak is cooked so this would be perfect for me! My husband loves to cook (lucky for me) so i know he would love cooking all kinds of things with this. I had never heard of this technique before but it sounds might interesting… especially with this product. I should ask my husband about it as he lived in France for a while. This looks like a great product. I like the idea of having my steak cooked the correct temperature every time. This would be my husband’s all time perfect gift. 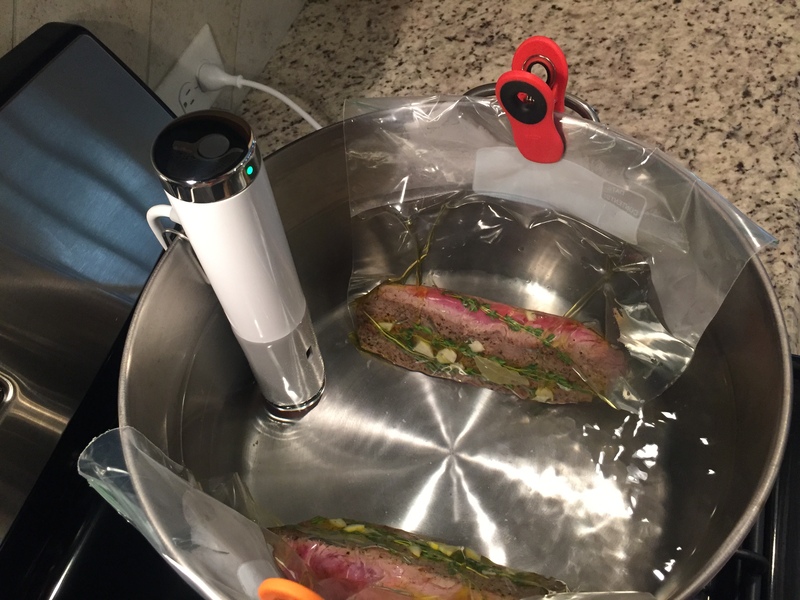 He is a whiz in the kitchen and has been wanting to try the sous vide method for years now! I was just talking to some foodies I know about this!! This looks like a great kitchen gadget for those who need something like this! I have never seen a device like this. Pretty cool. Now that is sweet. I can imagine the Joule making so many recipes much easier! That extra assistance would help a lot. What an amazing gadget! This would be perfect to my mom she would love it for sure. This is so stinking neat! 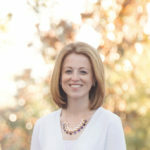 I’ve never heard of this technique before and want to try it out! I so need this in my kitchen! I’ve got to check this out. And ha my husband loves to cook too!